Home » About The Wisconsin Powered Paraglider People » Jarett C.
Flying has always been interesting and exciting to me. In the mid 90’s I was starting a new family and being a new home owner financially limited those dreams, temporarily. With the large expense of having a airplane and the training needed to fly a fixed wing aircraft I didn’t think flying was in my future. 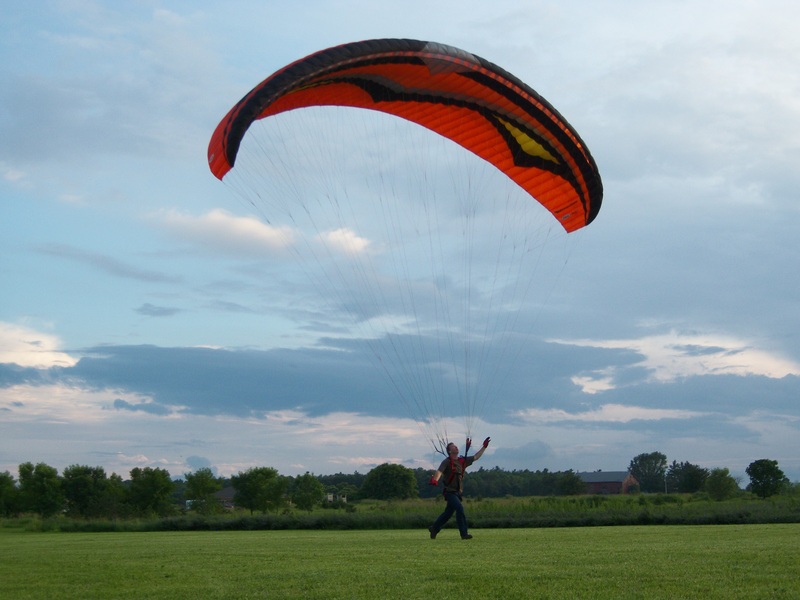 The the sport of powered paragliding with its many positive features peaked my interest. Many years later with the help and support of my best friend we started the search to increase our knowledge base of the sport of powered paragliding. We talked to trainers and manufactures and one of the most consistent topics that was pointed out to us was to select a qualified certified USPPA trainer. Second was the selection of the proper equipment. 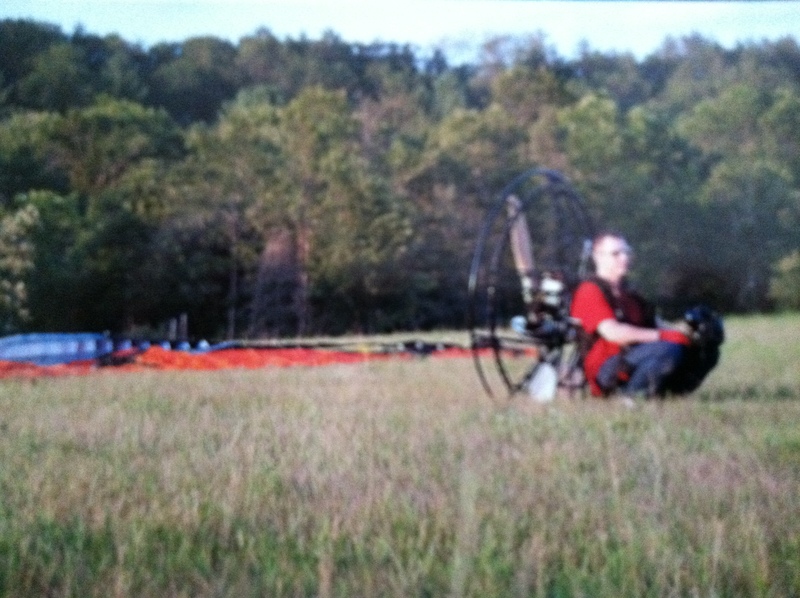 We selected Bill Stoll with Wisconsin Powered Paraglider LLC out of Greenleaf, WI to be our trainer. Bill is a very personable and has a true desire to see his students succeed as well as a passion for the sport. His level of patience with the “newby” (me) was great. He pushed me to become better at the sport, but never at the risk of being unsafe. He would listen to your concerns and adjust his training to make you feel comfortable and proficient. He utilizes the training syllabus from USPPA which helps as a guide to cover your training from Beginning to end. When my friend and I “interviewed” potential trainers, we immediately clicked with Bill; and when I say we interviewed trainers we really did! My thought has always been that my trainer has my life in his hands. If I cannot trust him or her as a person there was no way I was going to have them as my trainer. The way I looked at it was, that my trainer needs to have my best interest in mind not there’s. I cannot say enough how fortunate I was to have Bill as my trainer! This is an awesome sport, if you are interested in getting into this sport, recommend that you go to as many fly-ins as possible. Talk to anyone and everyone that is in the sport. Ask questions, and tandem fly with someone to help you increase your knowledge base.